4k00:09BARCELONA, SPAIN - JAN, 2015: The Arc de Triomf is the triumphal arch in Barcelona. It was built as the main access gate for the 1888 Barcelona World Fair by architect Josep Vilaseca i Casanovas. hd00:21Left tower of the Minster of Basel, Switzerland. 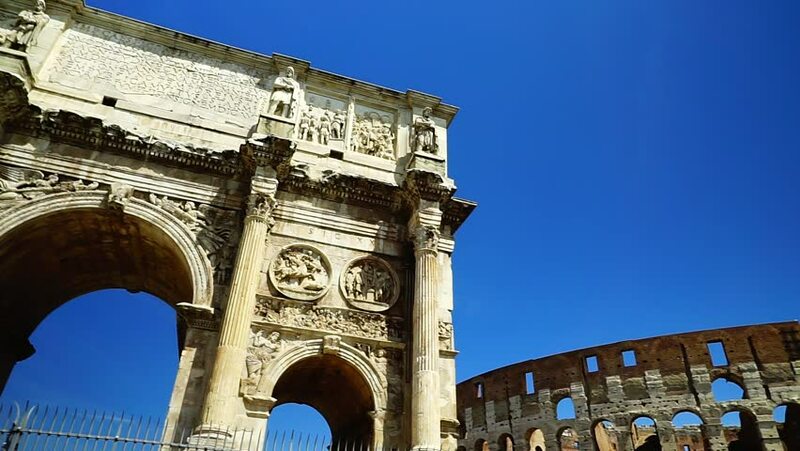 hd00:25ROME, ITALY - CIRCA 2018: The Arch of Constantine, the largest Roman triumphal arch. It was erected in 315. between the Colosseum and the Palatine Hill.